The first year Bill and I planted a small garden we didn’t have much success. I like to blame it on the heat wave of 2012, which didn’t help, but in actuality our lack of general gardening knowledge was the culprit. But this year we had a plan. The soil in much of the state of Kansas is compact, rock-hard clay. Even digging can be a challenge. 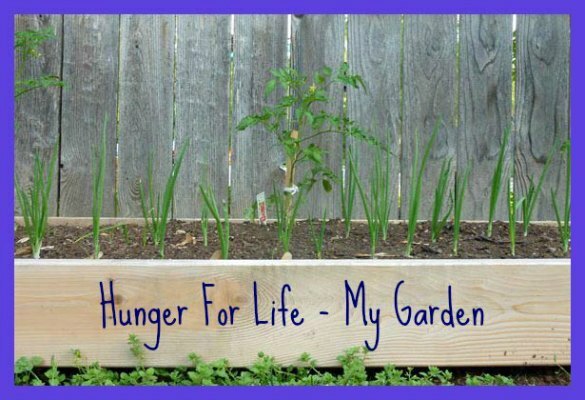 To overcome this hurdle, Bill built two 3-foot-by-7-foot raised beds. We then filled them with our own magical elixir of black dirt, mushroom compost, peat moss and manure. Next, we planted only those veggies that maintain a proven track record in this part of the country. Tomatoes, bell peppers, green beans, onions and zucchini comprised the bulk of our crop, and one lone cantaloupe plant just for fun. We planted in early May, crossed our fingers and promptly left for a two-week vacation. Thanks to perfect spring weather, we returned to a newly sprouted garden. Week after week the garden flourished. 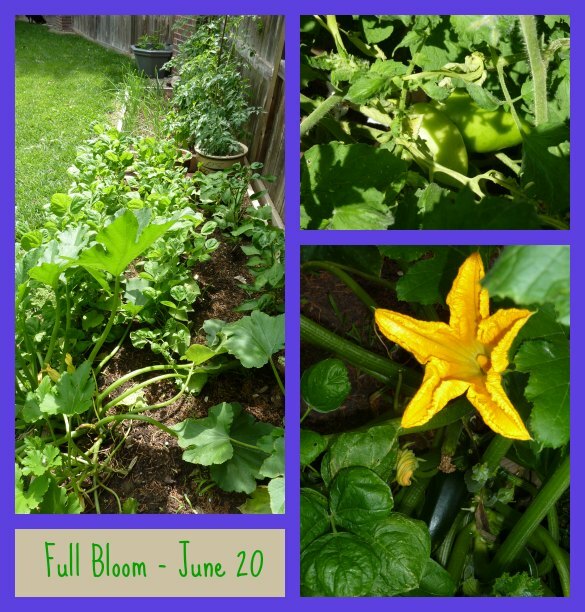 Tomato and zucchini plants blossomed like crazy, and onions grew like weeds. It seemed too easy. On Father’s day, I noticed that one of the zucchini plants had a few yellow leaves. I figured it was just part of the process; nothing lives forever, right? A couple of days later, the stalks looked droopy and my first zuc (the one just getting big enough to pick!) started to whither and die. 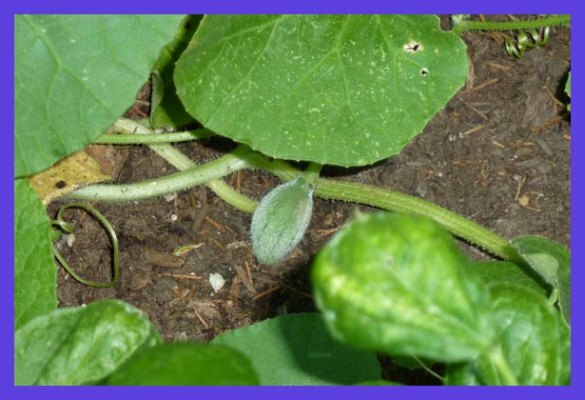 My neighbor informed me my plant had been attacked by the dreaded squash bug and an early demise was inevitable. A week later I performed last rites. It was a goner. Thankfully, the rest of the garden thrived. 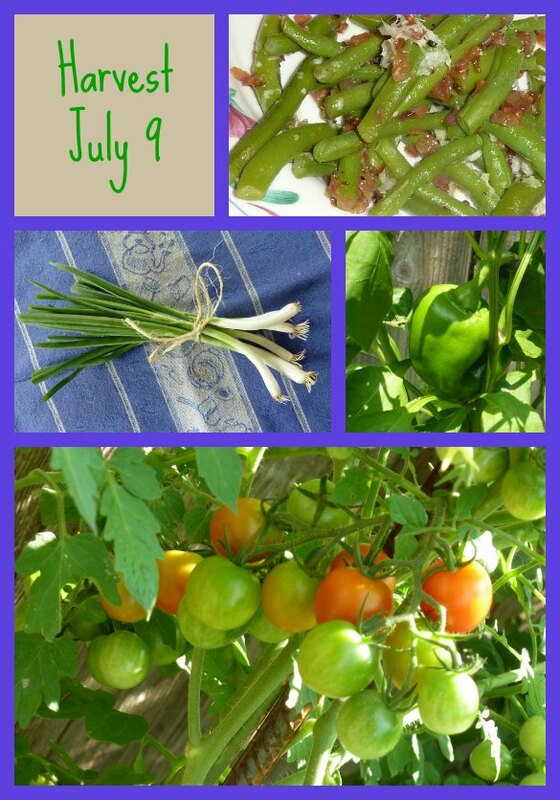 By mid-July we feasted on onions, fresh green beans and cherry tomatoes. The zucchini survivor held on for dear life. The peppers multiplied, and one tiny cantaloupe appeared on the vine. By next month I should (hopefully) be knee deep in tomatoes and peppers. My plan is to plant a second crop of beans in early August and garlic in September. The heat of the season makes late summer crops decidedly more difficult, but I’ll give it a shot. Right now, I’m battling another problem. A mysterious critter has taken up residency underneath one of the beds. As far as I can tell it isn’t doing any damage, but Lucky’s vigilant sentry duty may just take it toll! 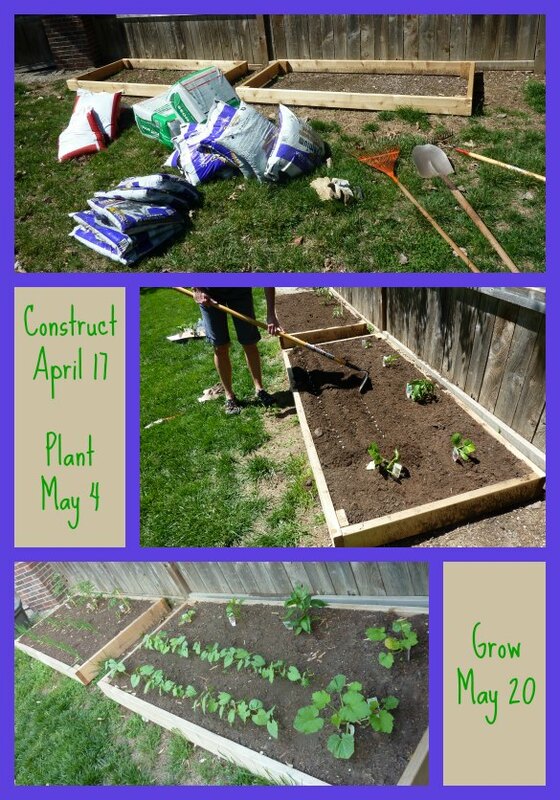 This is great – I love how you staged each photo to show your progress. 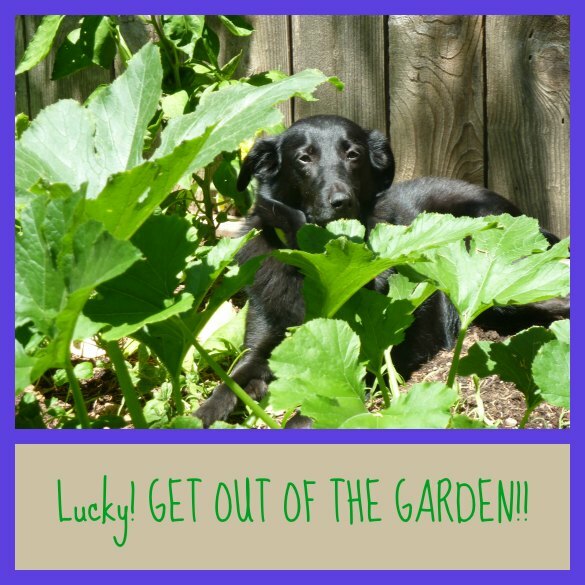 Dog in the garden is great- I have an older black lab mix dog and her name is Lucky too.